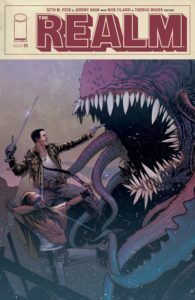 The Pull List, Jan. 31, 2018: Dark Ark, Detective Comics, Moon Knight, Reactor, The Realm, and more! My pull list keeps growing in size as I get caught up with more current comic books! 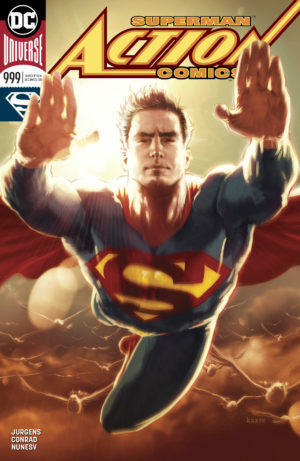 I read 21 new comics released earlier this week on January 31 – and I would have read even more if I managed to catch up on my Superman reading in time for these reviews! 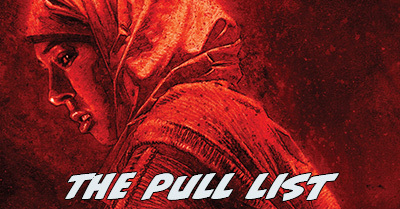 Here’s The Pull List for the week, as broken out by publisher (though they’re reviewed in alpha order, below). As you will discover below, I am not shy about giving low ratings to comic books. A lot of sites shy away from covering comics they think are weak or bad, but I think that does the fans and industry a disservice. We can’t only talk about comics that are brilliant or at least better-than-average – that signals a death of critical discourse! I’m just as interested in the weak books as the strong ones, because they help set the standard of what’s great in comics and the tough reviews might still help those books find fans. Enough chatter – let’s take a look at my top Big Two and Indie books of the week before getting to the full list. 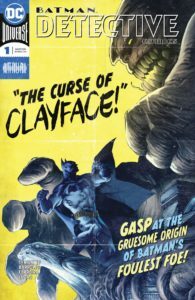 A stunningly good tragic origin story for Clayface with the best artwork I’ve ever seen from Eddie Barrows, which is really saying something because I always love Eddie Barrows. This is the kind of comic book single issue you can hand to a brand new fan who only vaguely knows the Batman mythos. 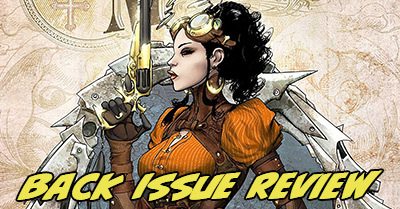 Tom King has been knocking out terrific one-offs like that on Batman, but this James Tynion story is different in that it delves into the core of an existing character instead of inventing a new plot. My understanding is that this departs a bit from the established Clayface original, which we’ve seen several times in the past – so, I appreciate if some regular Bat-readers aren’t into getting more of it. However, considering the events of the recently concluded story arc in Detective, this feels like the perfect time to reestablish Basil’s origin. This comic is on fire! …the ones that survive, anyhow. And now, on to the other 19 comics I read that were released on January 31, 2018! [Read more…] about The Pull List, Jan. 31, 2018: Dark Ark, Detective Comics, Moon Knight, Reactor, The Realm, and more!